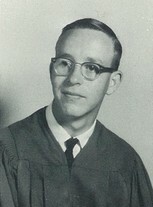 ROCK HILL - James (Ray) White, 66, went to be with our Lord and Savior on Saturday, Dec. 1, 2012. He passed quietly at his home, surrounded by his family after a seven-year battle with cancer. Ray was born in Rock Hill, S.C., on Nov. 1, 1946, the son of Marshall and Callie White. He attended schools in York County, York Tech and Clemson University and retired from Smurfitt-Stone Container Corp. after 25 years. Ray served in the U.S. Air Force and was stationed at Shaw A.F.B. He was a member and deacon of Marion Baptist Church and the Oak Tree Sunday school class. He had many passions--including hunting, fishing, gardening and roses--but his greatest love and passion was for his ministry. He wanted everyone to know the Lord as he did, so he would make and give out salvation bracelets everywhere he went. When he was in the hospital during his illness, there were no doctors, nurses, dietary or housekeeping staff that were not wearing the bracelets that he personally gave them. He was a wonderful father and husband to his family. He always placed other’s needs above his own and was a beloved friend to many people he met through his work and church. He traveled with the International Baptist Mission Board to Brazil to construct churches on several occasions and he often spoke of his memories of those trips. He also enjoyed visits to the beach and the mountains, as well as spending time at his home on Lake Marshall with his constant companion, Aston. He is survived by his wife, Gaile Sawyer White and children: daughter, Jennifer White Boles (Scott) of San Diego, Calif, Henry Marshall “Mark” White (Kelly) of Rock Hill, S.C., and Roderick Jarrod Hollis (Cathy) of Myrtle Beach, S.C. He was a beloved grandfather of Callie and Ryan Boles of San Diego, Calif.
Visitation will be held from 6 to 8 p.m. Monday, Dec. 3, at Richardson Funeral Home in Marion, S.C. Funeral services will be held at 2 p.m. Tuesday, Dec. 4, at Marion Baptist Church, with additional visitation from 1 to 2 p.m. prior to the service in the Sanctuary. Graveside will be held at Riverside Cemetery in Nichols, S.C. In lieu of flowers, please send memorials to Marion Baptist Church Playground Equipment Fund, 106 S. Main St., Marion, SC 29571 or Hospice & Community Care, P.O. Box 993, Rock Hill, SC 29731. Ray was my cousin. He truly fits the expression "gentle giant". A humble and generous man who loved Nature and the outdoors. In his younger years he was a little "trouble-maker:When we were in the third grade at Oakdale Elementary he told the whole class that he had seen my bloomers on the playground and I was mortified! The teacher made him sit in the hall! As a teenager and young adult he was a very talented bass guitar player and a bunch of us "groupies" followed him and the "Venturas" from one competition to another.Ray was blessed with a large extended family and he loved nothing more than a "get-together". Even in his most difficult days during his extended illness, he always wanted to visit and laugh about old times. He loved to carve items from cedar and his creations are among my most prized possessions. I love you, dear cousin, and my memories will help me cope with my grief.